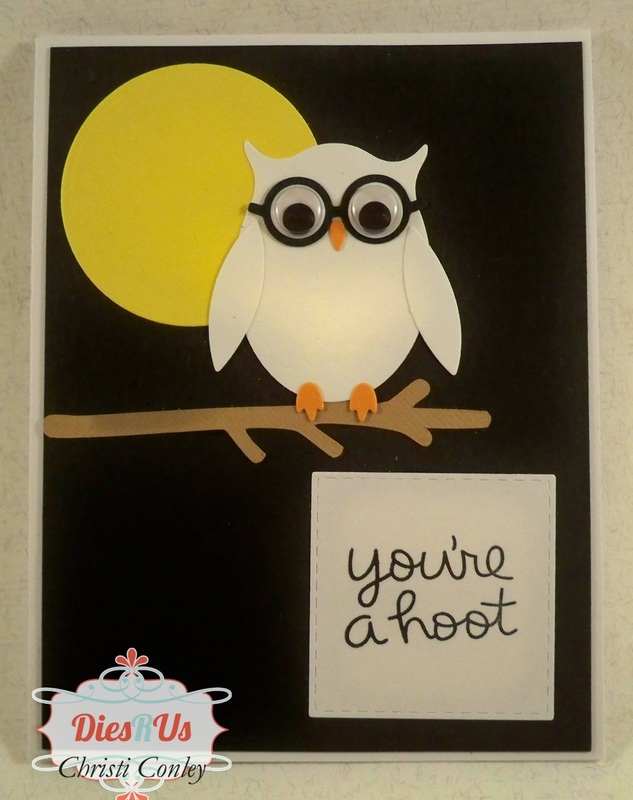 Dies R Us: You're a Hoot! Hi everyone! 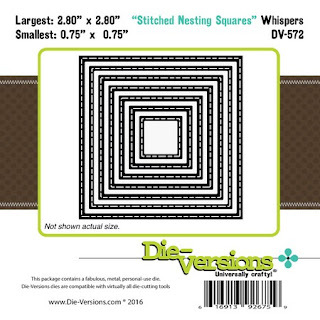 This is my very first post as a part of the Dies R Us Design Team and I want to thank you for stopping by! I hope you will join me and my teamies daily here at the Inspiration Blog; be sure to join in with your own creation on the Challenge Blog! 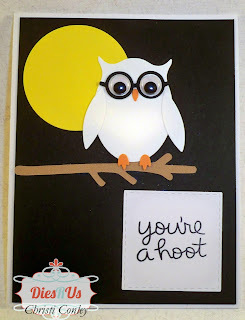 The first thing I did was die cut my owl out of white cardstock. He's a studious, snowy barn owl so he had to be white; and he needs his glasses to watch for mice! I cut the body and wings out of white card, his nose and feet out of orange card, his glasses out of black card. I then punched a yellow moon out using a very old circle punch. I don't have a branch die (yet), so I used my Silhouette machine to cut out a simple branch using brown cardstock. I adhered my owl, moon and branch to the black card base panel, then stamped my sentiment onto a piece of white card and then die cut out using the stitched square die. All of these fantastic products (and more!) are available at the Dies R Us store! OMG! He's so cute Christi! Great job and awesome inspiration! So cute! I love owls and this one is adorable! I love this card! Well done! So cute! Love those wise eyes! cute, cute, cute! 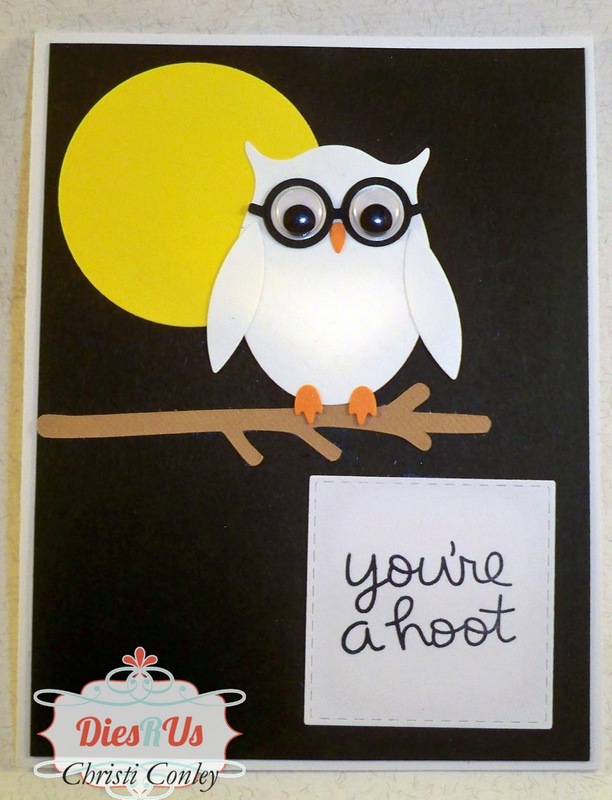 I love owls and I love this card!